Vale, Grandad. 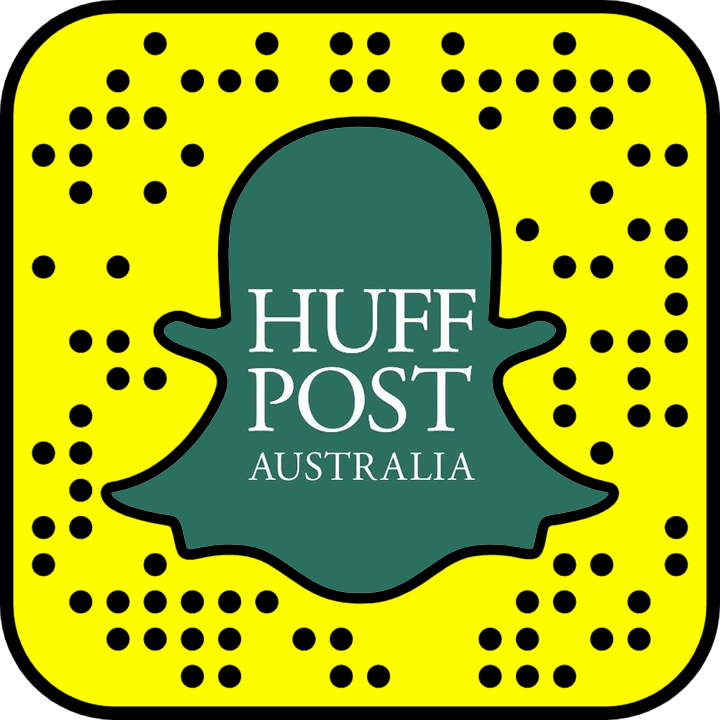 You've done Australian lungfish proud. He always looked like he was smiling. 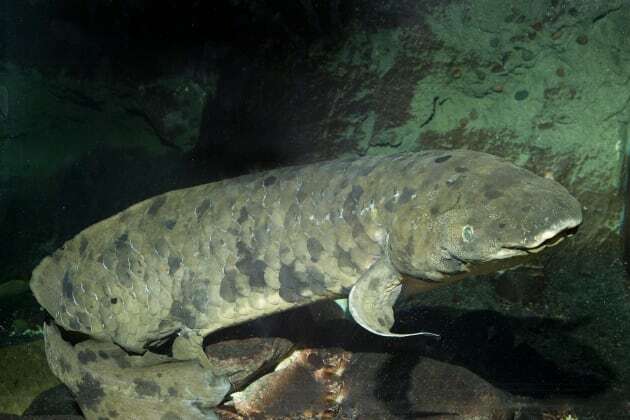 He wasn't the prettiest fish in the aquarium, but Grandad the Australian lungfish certainly made an impression in his 84 years on display. Grandad died on Sunday, believed to be the oldest fish in captivity ever and his owners at Shedd Aquarium Chicago were understandably moved, describing him as "one of our best-loved members". Chief executive Bridget Coughlin said the sedentary, mottled brown fish was an unlikely fan favourite. "It is incredible to know that more than 104 million guests had the opportunity to see Granddad in our care and learn about his unique species over eight decades," Coughlin said. "I just watched our video again. Our officiant, Michael, started by saying, 'Ladies, gentlemen, fish'." Carlee Princell said: "Grandad meant so much to me. Me and my girlfriend of three years Catie Coghlan met in front of his tank". Chris Evans said: "Shedd was one of the best parts of living in Chicago - and Grandad was the best part of that. I remember seeing him laying there, wiggling around, and his face -- it always looked like it was smiling". 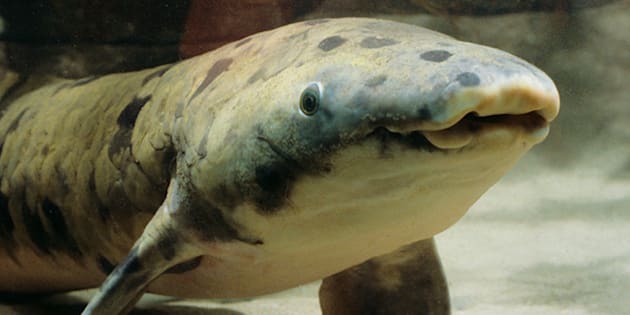 Lungfish live in two major rivers in Queensland and are unique because as well as gills, they have a single lung, allowing them to breathe air. They're endangered and even when Grandad was caught, a special permit was required to catch him and a mate, originally for the 1933 World Fair. Granddad had a lot of fans. It's estimated Grandad lived to his mid 90s but he went off his food last week and the decision was made to euthanase him. Now that he has died, a necropsy will reveal exactly how old he is thanks to bones that exist in all fish ears that can be cut in half to reveal a ring for each season they've lived.